Was there a British angle in Mahatma’s assassination? Another indication of a British hand in the plot was Apte’s refusal, at the height of the Great Depression, of a full-time job in the Royal Indian Air Force.The most likely explanation is that he was probably already occupied — as a British agent. Maharashtra ATS Chief Hemant Karkare’s investigation into that nexus was cut short when he was killed in the September 2008 attack on Mumbai, giving rise to a widespread belief that the attack was primarily aimed at eliminating him. Subramanian Swamy’s call for the burning of “Nehruvian” history books and the riposte from Congress leader Digvijay Singh reminded me of the nursery rhyme battle between Tweedledum and Tweedledee. Their combat is over the rattle of history, not its substance. The truth lies neither in the vilification of Nehru and his acolytes nor their celebration. Much as it will stick in BJP throats to say it, Nehru was a patriot who spent almost his entire life in the service of India. And though it will be wormwood and gall for the Congress to admit it, he was an intellectually shallow snob who betrayed Mahatma Gandhi in the final run up to the transfer of power, and all of us in the course he set for independent India. As young people today will understand little of all this, I give below a summary of what happened, with some notes on its current relevance. Jawaharlal Nehru was the treasured son of a rich lawyer in Lucknow who, one urban legend had it, sent his shirts to be laundered in Britain and Paris. Born to luxury, spoiled rotten as a child, Nehru himself was sent to Britain early, first to school at Harrow and then to Cambridge. He was the quintessential “Brown Sahib,” with an intellect shaped by the upper-class socialism that had little to do with the working class realities. 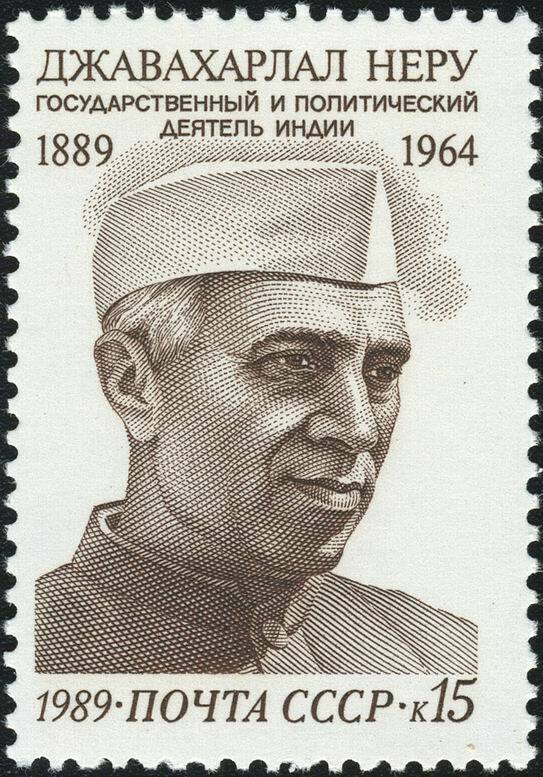 For all his elite education,Nehru had little understanding of his own country or the world: while dismissive of the religion that has been India’s saving grace over the millennia, he saw the corrupt and violent communist revolution in Russia as the door to a brave new world. He returned to India at a time when Mahatma Gandhi was revolutionizing the Congress and became, with some energetic pushing by his father, one of the Party’s bright young leaders. His primary rivals in the party, Mohammad Ali Jinnah and Subhash Chandra Bose, earned their own limelight and either could have given Nehru a run for his money if they had stayed with the Congress; but neither did. 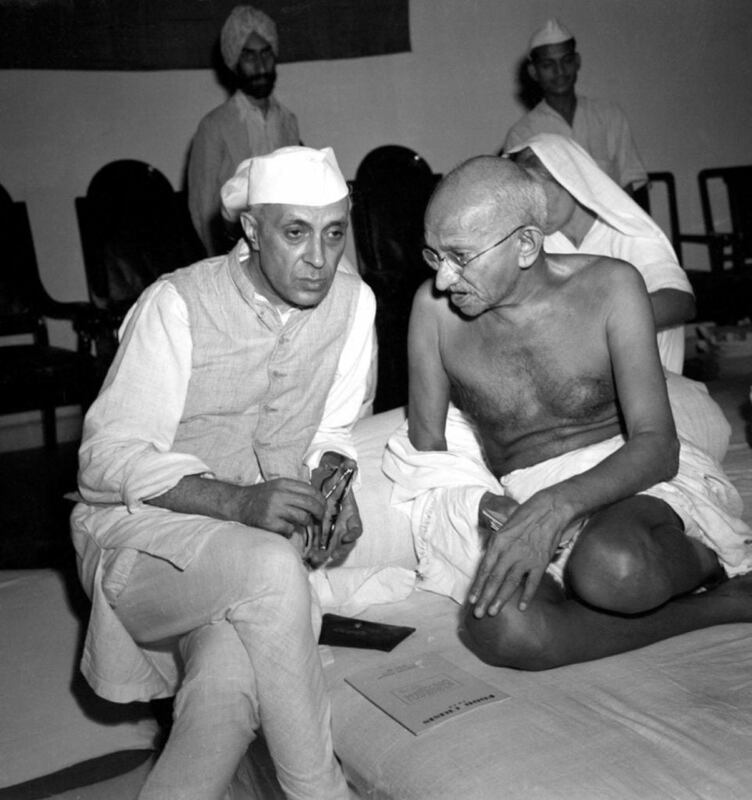 Nehru thus became the only leader of his generation with national appeal, his stature enhanced by the perception that he was Gandhi’s political heir. That status was not based on ability. Vallabhai Patel, the hard-eyed Gujarati lawyer whose unmatched organizational skills had made him the “Ironman” of the Congress, was unquestionably a far more effective leader. But Gandhi had made the shrewd calculation that Nehru’s cultural commonalities with the British were an essential bridge during the transition of power.In that, he was entirely correct, but the expectation that the younger man would eventually follow his path proved disastrously wrong. 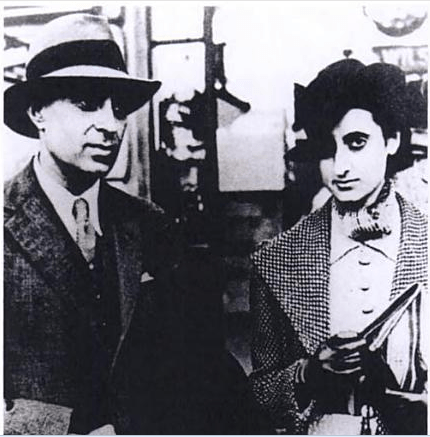 Weeks before independence Nehru stumbled into a British honey trap baited with Edwina Mountbatten (whose extramarital affairs were notorious), and was thereafter a British stooge. He asked Louis Mountbatten to stay on as independent India’s first Governor-General, appointed him chair of the cabinet committee dealing with the “tribal invasion”of Kashmir, and after Indian forces routed the Pakistanis and had them on the run, froze their advance and referred the matter to the United Nations. After independence, Nehru set India on a course towards a “socialist pattern of society.” Ironically, that involved committing enormous flows of public money to large projects that profited a small business elite; it would be three decades before the Panchayat Raj provisions of the Constitution would be minimally funded. It was a comprehensive betrayal of Gandhi’s legacy. Hindutva betrayals have been even more profound, for they involved the assassination of the Mahatma and the undermining of Indian democracy. They released him early from a 50-year sentence after he wrote the tract Hindutva, arguing that Muslims were second-class citizens in India, entitled to exist only as a submissive minority. After release in 1924 he lived in a pleasant bungalow the British provided in Ratnagiri, and three years later, took over as president of the Hindu Mahasabha, a proxy British organization formed at about the same time as the Muslim League. As the head of the Mahasabha Savarkar assembled a gang in Pune that included Naturam Godse and Narayan Apte, the men who killed Gandhi in 1948. Beginning in 1934, Godse made several unsuccessful attempts to kill the Mahatma but revealingly, he was never taken into police custody or put under any watch. Even after a bomb went off at Gandhi’s prayer meeting a few days before the assassination the police acted as if they had no knowledge of him. Was there a British angle in Mahatma’s assassination? Another indication of a British hand in the plot was Apte’s refusal, at the height of the Great Depression, of a full-time job in the Royal Indian Air Force.The most likely explanation is that he was probably already occupied — as a British agent. All this is of more than historical interest because the extremist Hindu elements brought to life by the British continue to thrive with murky support from unidentified sources. Maharashtra ATS Chief Hemant Karkare’s investigation into that nexus was cut short when he was killed in the September 2008 attack on Mumbai, giving rise to a widespread belief that the attack was primarily aimed at eliminating him. It is alarming that Mrs Karkare, who had been vocal about a conspiracy to kill her husband, has just suffered a brain hemorrhage and is now in a coma. Also fueling dark speculation is the strange matter of the Home Ministry files the Modi government destroyed within weeks of taking power. Corridor talk has it that the files related to the Mahatma’s assassination. The government assured parliament that was not the case, but it is necessary to ask if that denial covered mention of Narayan Apte in personnel records. Did the destroyed files show government financing for B. S. Moonje, the medical doctor from Nagpur who served with the British Army in the Boer War and 1925 established the Rashtriya Swayamsevak Sangh (RSS)? Does the denial cover records of payments to thugs engaged in the “communal riots” that led to Partition? These uncomfortable questions indicate that the increasing challenges facing Indian democracy are not all contemporary: they also emerge from our cloak and dagger past. You’re a certainly one of a type blogger in this field. Continue the work. It’ll pay off. 15 minutes tend to be lost just trying to figure out how to begin. Good – I should definitely pronounce, impressed with your site. I had no trouble navigating through all tabs and related information ended up being truly easy to do to access. I recently found what I hoped for before you know it in the least. Quite unusual. Is likely to appreciate it for those who add forums or something, web site theme . a tones way for your customer to communicate. Excellent task..